This is a tough one. 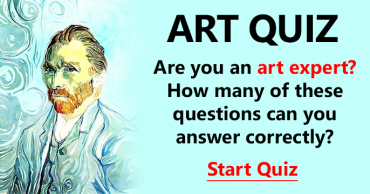 Take the test if you want to learn more about art. What is the surface an artist uses to mix his colors called? Optical illusions are meant to fool what? What is the meaning of the term "bird's eye-view"? 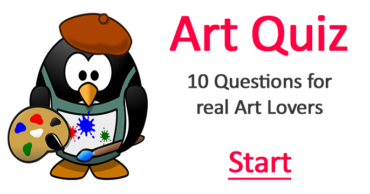 What is a public showing of artwork called? Many paintings of the Italian Renaissance dealt with which theme? 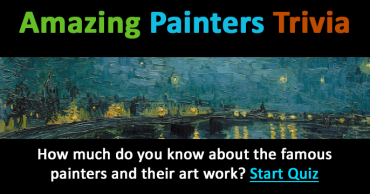 Which one here was not a famous painter? Which South American ballroom dance evolved from the flamenco? Which of these artists became blind for a period towards the end of his career?